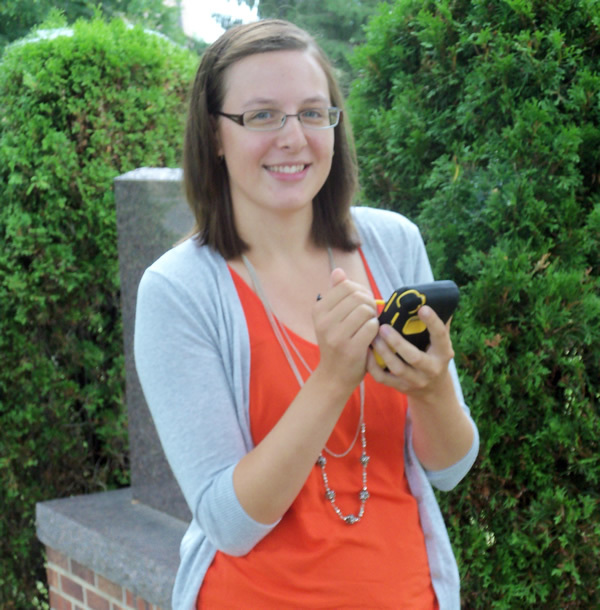 Katie Wiederholt collects a GPS point using a Trimble device. Photo by Troy Maggied. Two University of Wisconsin-Platteville (UW-Platteville) students used Esri ArcGIS technology to help map a cemetery as part of their summer internship with the Southwestern Wisconsin Regional Planning Commission (SWWRPC) in Platteville. 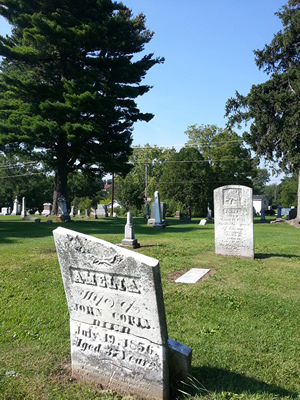 When the project is completed, people will be able to use querying tools in an online database or at an on-site kiosk to find the graves of their ancestors at East Side Cemetery in Dodgeville, Wisconsin, one of the oldest cemeteries in the state. Cassie Jorgenson, a geography and history major, and Katie Wiederholt, a geography major, collected more than 6,500 GPS coordinates from gravestones, as well as information etched on the gravestones—names, birth and death years, and veteran status. Then they entered the GPS points into Esri ArcGIS software and verified the field data against the paper records on a spreadsheet. "This was necessary to identify any discrepancies in the record books and to confirm names and dates on very old gravestones that have been worn down," said Troy Maggied, planning program manager at SWWRPC. Cassie Jorgenson uses ArcGIS to map East Side Cemetery. Photo by Troy Maggied. SWWRPC plans to use Esri ArcGIS Online to store the data and ArcGIS Viewer for Flex for displaying and querying the data, Maggied said. The online querying tool and database will be operational by March 2015 and available via the SWWRPC's and city of Dodgeville's websites. Future plans are to have the same application up and running at an interactive kiosk at the cemetery, he said. 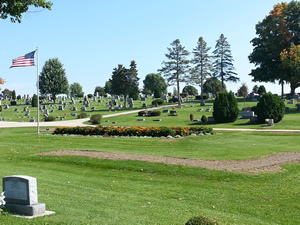 Creating this database and querying tool will not only provide a service to Dodgeville residents, it will also result in significant long-term cost savings to city staff who now have to search more than 8,000 paper records to answer genealogical and other cemetery-related questions from the public. 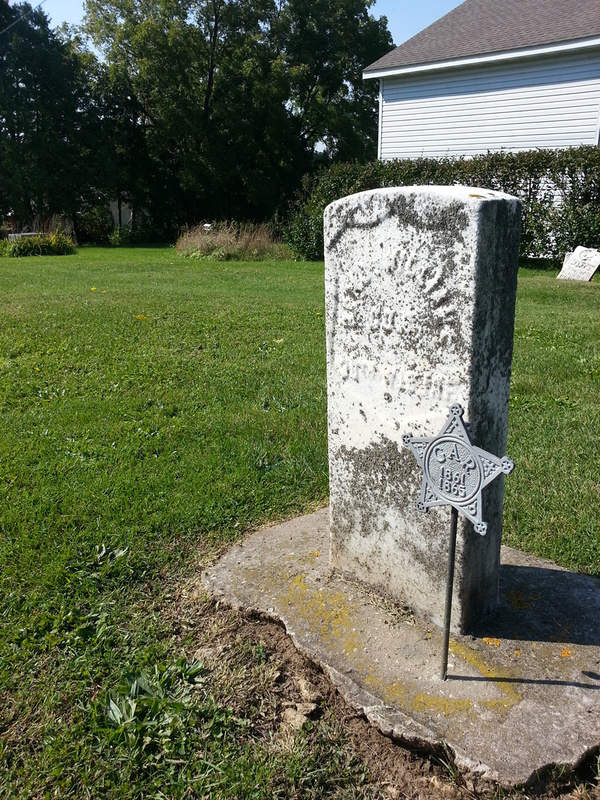 This oval-shaped gravestone was one of several unique headstones in East Side Cemetery that was mapped. Photo by Troy Maggied. "[Jorgenson] and [Wiederholt's] work to modernize Dodgeville's cemetery record keeping will be a permanent improvement to the city's operations," said Maggied. "Working with the UW-Platteville students is a win-win for our organization, the city of Dodgeville, and the interns we hire. We want to provide a real-world work experience for students, so we treat our interns as full-time employees and expect them to perform as such, and [Jorgenson] and [Wiederholt] excelled in this respect. Likewise, our local partners appreciate seeing interns work on their projects, since they're able to invest in the region's future work force." The students spent more than 550 hours this summer collecting, inputting, and analyzing data, said Katherine Burk, assistant planner at SWWRPC and manager of the project. "It's been a great experience working with these students," she said. "Along with their understanding of the newest GIS technology, they also bring to our organization their enthusiasm and a great work ethic." This tombstone, dated 1856, is one of the oldest in the cemetery. Photo by Troy Maggied. Jorgenson and Wiederholt said they felt well prepared for the internship, as they had completed both introductory and advanced GIS courses at UW-Platteville. Jorgenson said the courses provided them with background knowledge in how to use ArcGIS software in real-world applications and tested their knowledge of the software and spatial concepts through weekly labs. She said that in the advanced course, students completed individual projects with minimal assistance from the professor as well as a class project that gave them basic experience with the GPS units that she and Wiederholt used for the internship. "I am grateful for this internship opportunity with SWWRPC," said Jorgenson. "It is exciting to have the opportunity to work with the GIS software, see what we have accomplished, and learn how diverse GIS can be." Wiederholt agrees. "I love working with the ArcGIS software because it is very straightforward to use, and there are many ways to represent the data, depending on what the audience wants to see," said Wiederholt. 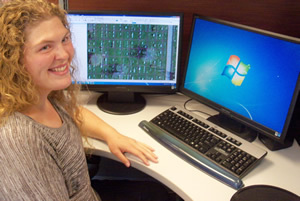 "GIS is an amazing tool that can be useful to someone in any career." The SWWRPC is an extension of local government in Southwestern Wisconsin and provides planning and economic development services in Grant, Green, Iowa, Lafayette, and Richland counties. As an ongoing service to these communities and community partners, SWWRPC maintains and makes available a collection of data for cartography and GIS needs. Custom maps and spatial analyses are available through special order. UW-Platteville's department of geography, housed within the College of Liberal Arts and Education, offers a major in geography and minors in geography and environmental science. 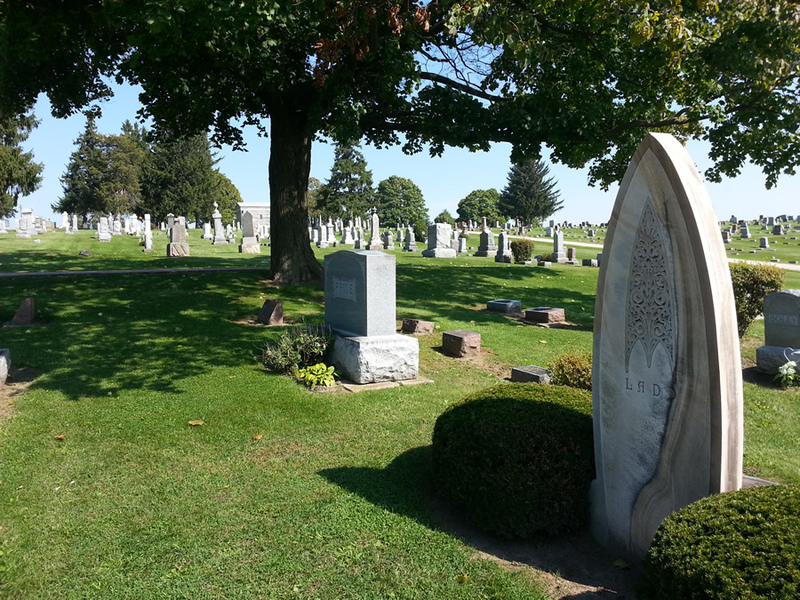 There were no records of people who were buried in the Potter's Field section of the cemetery, where the indigent and unknown were laid to rest. The area, however, will be identified on the map. Photo by Troy Maggied. A Grand Army of the Republic medallion identifies that the person buried here was a Civil War veteran. Photo by Troy Maggied.